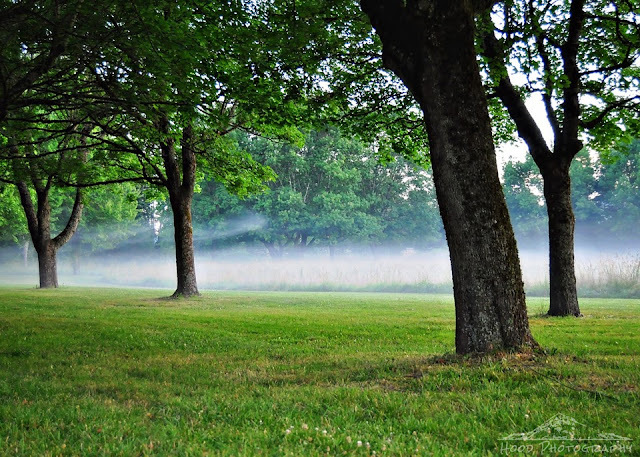 Taken in the early morning at a field near Blue Lake Park, this bank of fog hung still in the air just long enough for me to take a photo of it before evaporating away before my eyes. beautiful. I love ground fog like this. Eerie. We have a local fog here we refer to as a mythical creature's cloak. Reminds me of that. Cool how the fog bank just hung there in mid-air. Fog never looked so good. This picture has a dreamy quality. Ground fog often makes great pictures!